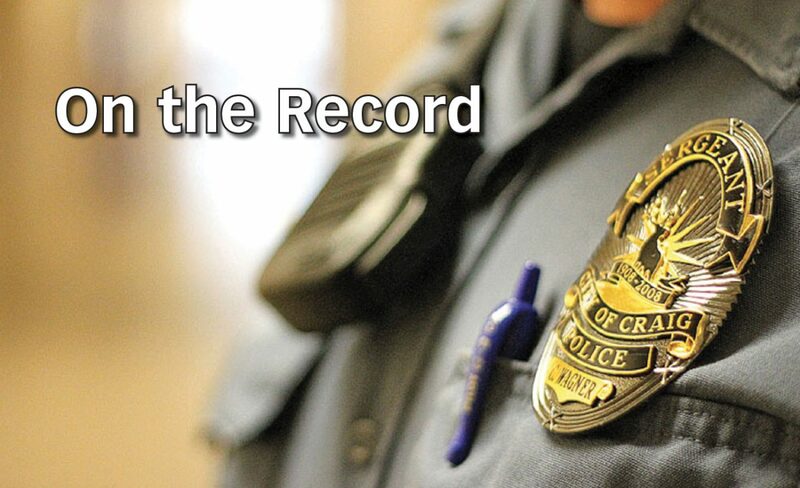 7:01 a.m. Near the intersection of East Seventh and Legion Streets, officers with the Craig Police Department made a traffic stop resulting in an arrest. A 32-year-old Craig man was arrested on a warrant out of Garfield County for failure to comply. 8:32 a.m. On the 700 block of Exmoor Road, officers responded to a report of a possible burglary and are investigating the incident. 8:49 a.m. Near the intersection of Pershing Street and West Victory Way, officers responded to a crash resulting in property damage. One of the drivers was cited. 10:29 a.m. In Craig, officers received a Safe2Tell report. 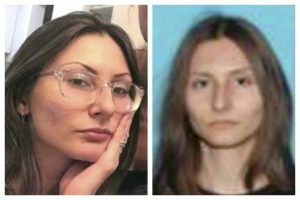 Two more Safe2Tell reports were received the same day, and all are under investigation. 10:52 a.m. In Craig, officers attempted to make a warrant arrest. 1:32 p.m. On the 700 block of East Victory Way, officers responded to a crash resulting in property damage. 2:01 p.m. On the 600 block of Russell Street, officers are investigating a potential burglary. 3:53 p.m. Near the intersection of Mack Lane and Industrial Avenue, officers responded to a call for help to remove debris from the road. 9:09 a.m. Near the intersection of East Victory Way and Stock Drive, officers made a traffic stop resulting in an arrest. 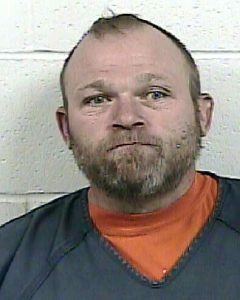 A 43-year-old Hayden man was arrested on suspicion of driving under restraint related to the use of alcohol, displaying expired plates, and violation of registration provisions. 1:28 p.m. On the 400 block of School Street, officers made contact with a pedestrian resulting in the arrest of a 58-year-old Craig man on a warrant out of Mesa County. 2:33 p.m. Near Village Inn, officers assisted a motorist. 4:06 p.m. In Craig, officers responded to a suspected domestic violence incident. It is being investigated. 9:47 p.m. On the 1100 block of West Victory Way, officers assisted a motorist with a hazard. 11:17 p.m. On U.S. Highway 40, near milepost 96, troopers with Colorado State Patrol arrested of a 25-year-old Craig man on suspicion of two counts of driving while under the influence and one count of driving a defective or unsafe vehicle. 4:27 a.m Near Murdoch’s Ranch and Home Supply, officers investigated a report of a suspicious vehicle. 10:15 a.m. On the 1000 block of East Seventh Street, officers investigated a report of an open door. 1:13 p.m. On the 300 block of Birch Street, officers assisted a caller who reported possible flooding. 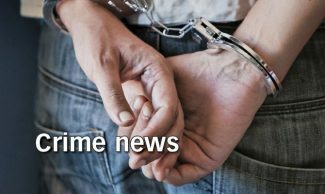 4:11 p.m. On the 400 block of Yampa Avenue, officers arrested a 37-year-old Craig man on suspicion of violation of bail bond and possession of weapons by a previous offender. 11:09 p.m. On the 3400 block of Essex Court, officers issued a citation after responding to an animal complaint. 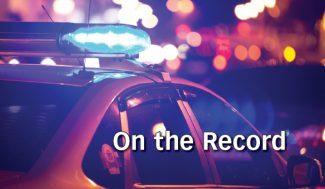 Editor’s note: Officers were unavailable Monday to provide additional details about the weekend’s incidents.